Allied forces continue to bomb the hell out of Gaddafi’s hideouts and military positions in Libya. Sooner or later we’ll have covered the entire country. 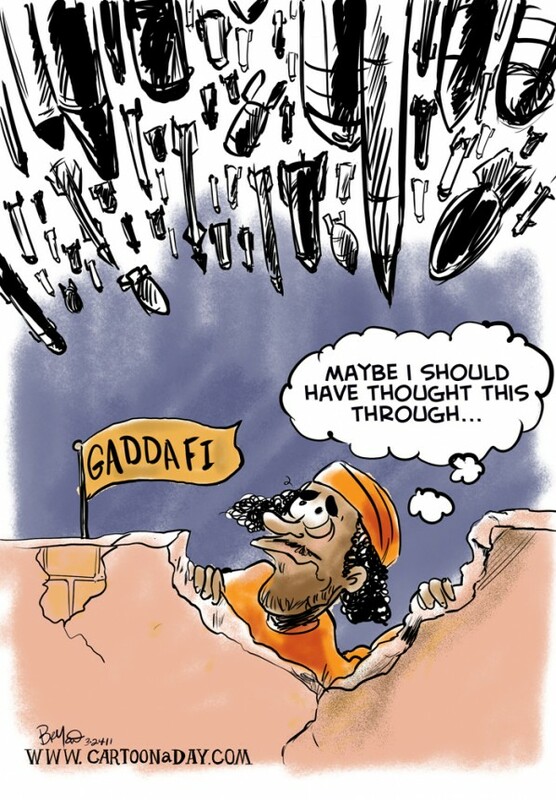 Inspiration: Political cartoon featuring Gaddafi hiding in a bombed out shelter. Countless bombs are bearing down on him.